What if you called your parents just to chat instead of feeling you need to make sure they haven’t fallen or become ill? Imagine sleeping at night knowing that caring people were helping watch over your mom or dad. 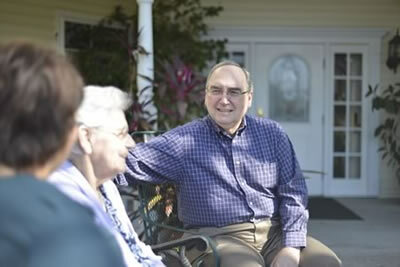 Families of St. Francis Villa more often experience such peace of mind when it comes to the care of their loved ones. Many families come to us stressed and overwhelmed. The pressures of work, children, and life in general are intensified by the growing concern for an older loved one’s safety and well-being. Guilt and worry build up and families feel they are bearing the burden alone. 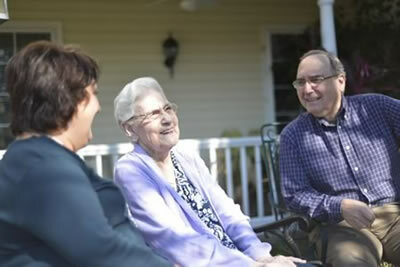 “My mother enjoyed her years at St. Francis Villa so much, and when the time came to get assistance for my mother-in-law, we knew just where to go. Grammy is so much happier at St. Francis! – K.A., daughter-in-law of a St. Francis Villa resident.